· Level 5 Leaders: The research team was shocked to discover the type of leadership required to achieve greatness. 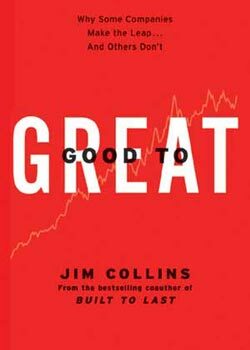 · The Hedgehog Concept: (Simplicity within the Three Circles): To go from good to great requires transcending the curse of competence. · A Culture of Discipline: When you combine a culture of discipline with an ethic of entrepreneurship, you get the magical alchemy of great results. Technology Accelerators: Good-to-great companies think differently about the role of technology.